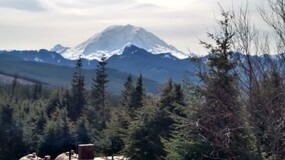 A view from 3 Sisters site. The PSERN project is steadily moving ahead. With recent windstorms raging throughout the County, we are reminded how important the emergency radio communications network is. As you know, first responders use this network to communicate during these types of weather events so it is imperative that it is up to par. 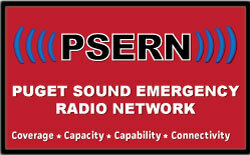 PSERN will have the Coverage, Capacity, Capability and Connectivity to withstand any natural disaster so that first responders can continue to keep our community safe. The windstorms highlight the need for resilient systems and PSERN will also bring a more resilient network that will withstand events like the windstorm even better than the system it replaces. As fall approaches, we are also mindful of the fact that inclement weather could be an issue for projects such as this. Our team along with Motorola Solutions has many years of experience dealing with these types of issues so we are in good hands. Protocols and strategies will be put in place in the case of a weather event so that we can keep the project moving forward. One of the strategies is to build around certain weather challenged areas. For example for mountain areas or “high sites” as we call them would have to be done during the summer months when the weather is a little calmer and we don’t have snow and ice to hinder civil site construction. 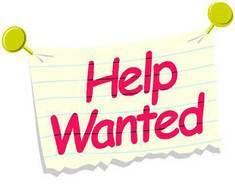 However we will be able to focus on the lower sites during the fall and winter months. These sites don’t have issues such as snow and ice which make work conditions dangerous. We look forward to continuing work on the project and thank you for your support. PSERN Project Director David Mendel. Now that you have heard from the director, lets find out more about him! 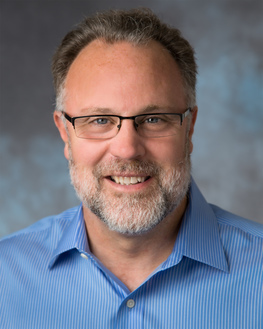 David recently celebrated 10 years with the King County Information Technology (KCIT)department. He began actively working on the PSERN project in 2006 however the official start date of the project was 2008. The text book answer is: I am responsible for the overall project deliverables related to scope, schedule, budget and quality. In essence this means that my job is to captain a ship by the name of PSERN. The project vision relates to the direction the ship travels in. How much fuel we burn along the way relates to the budget. What we get done during the voyage equates to the scope, and lastly how long it takes us to complete the voyage relates to the schedule. I cannot do most of the work by myself, but I rely on a staff of 6 people to make sure we are doing the right things, in the right way, at the right time. I make sure they have the tools they need to do their jobs and also challenge them by setting the bar very high. At first I didn’t know going in if this was the right job for me. Now, I realize it is, but not in the way I ever imagined. I was afraid that having only one “topic” would be boring, but I’ve found that it has actually allowed me to focus with more depth than I’ve ever been able to give a task I was assigned. I managed at a very high level while in operations not having adequate time on specific issues. The PSERN project is totally different. We cannot get things done unless they are researched, analyzed and discussed both internally and externally. I guess I would say this is what I enjoy most – that we can see issues go from A to Z and know that we have done well. What is your most memorable moment on the project so far? Without a doubt the passage of the PSERN funding measure in April of this year was a monumental moment. Without that event it would have been very challenging to pick back up, get a voter approved funding measure, and stay on scope, schedule and budget without significant changes to the project during the interim. Get your PSERN Swag- Cool flashlight and PSERN button! Don't miss out! Get your PSERN swag while supplies last! If you would like to receive PSERN buttons or keychain flashlights for your first responder organization all you have to do is follow us on Twitter- @radiomatters As soon as we see you as a new follower we will get your contact info to send your PSERN swag items! Welcome to the 6th edition of PSERN News! This is the place to find out the latest happenings on this monumental project! 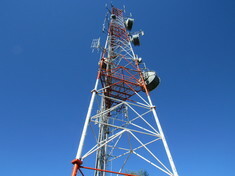 Radio Tower at Squak Mountain Site. Tune in next month to learn more about key milestones, rates and more. Dan Johanns, E10 C with Seattle Fire Department shares a laugh with the producer during filiming of the PSERN video. If you haven't seen the video yet, not to worry! The PSERN project has its own YouTube Channel. The channel houses our full length video as well as shorter vignettes! We encourage you to pass the link along to your colleagues who may not be aware there is a video that talks all about the project!